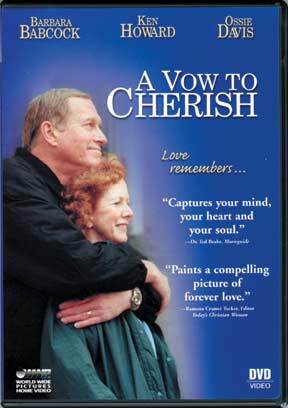 A Vow to Cherish is a deeply moving love story of a husband and wife who are faced with devastating medical diagnosis. As his wife, Ellen, slips away into the grips of Alzheimer's, John Brighton finds himself challenged beyond anything he could have imagined when he vowed his lifelong commitment and love to her so many years before. A Vow to Cherish portrays the importance of living by godly principles in a world searching for answers. Starring Barbara Babcock, Ken Howard and Ossie Davis.